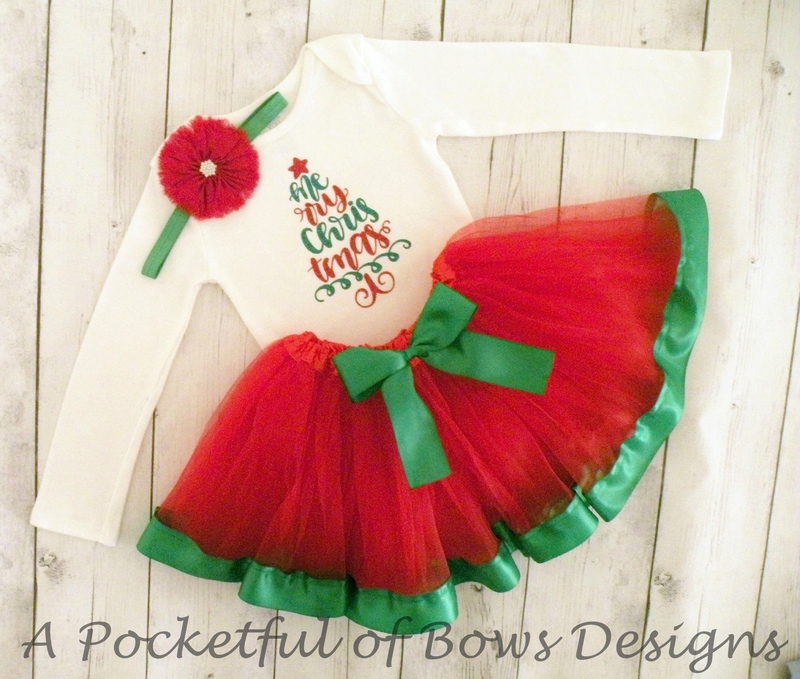 Girls Christmas tutu outfit in red and green The top has Merry Christmas in a fun tree shape. 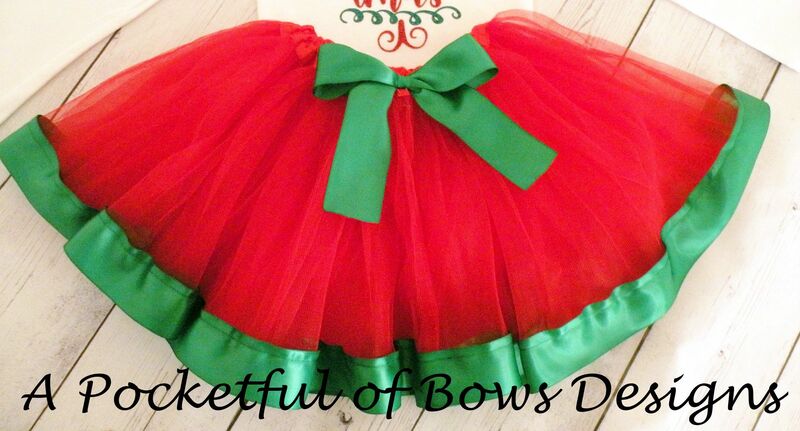 The ribbon tutu is red and green with a satin bow. 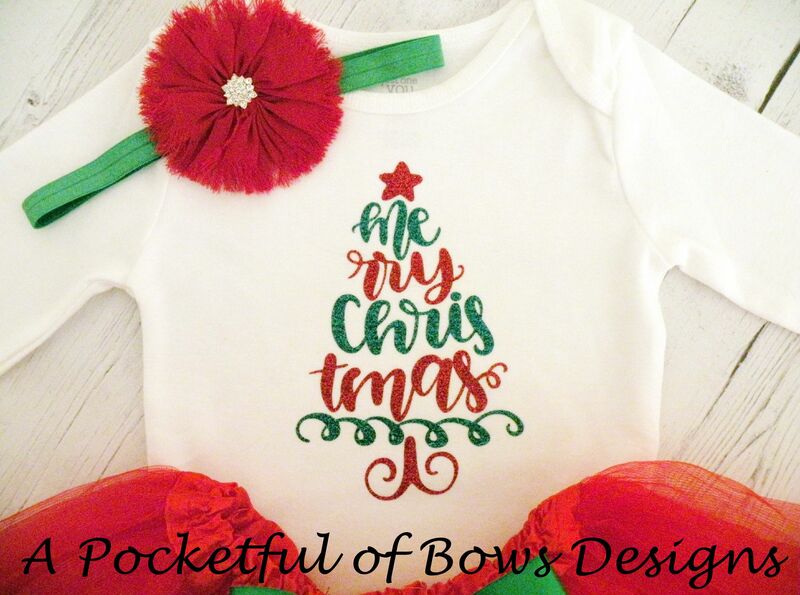 Matching Christmas headband also available! LS-Long Sleeves. SS- Short Sleeves.